MURPHY BROWN’s Murphy (Candice Bergen) considers censoring herself after anti-reporter violence hits close to home. Iam from Altoona,Pa which was the town depicted in the Murphy Brown episode “Beat the Press.” When Murphy’s son supposedly went to Altoona to find out who beat up Frank, they were a man and a woman and Trump supporters who were dressed and talked like rude and crude hicks! The woman then punched the son in the face. I am sure they picked Altoona because when Obama came here during his campaigning, he later said that people in Pennsylvania are bitter and cling to their guns and bibles. Yes we believe in God and the second amendment. 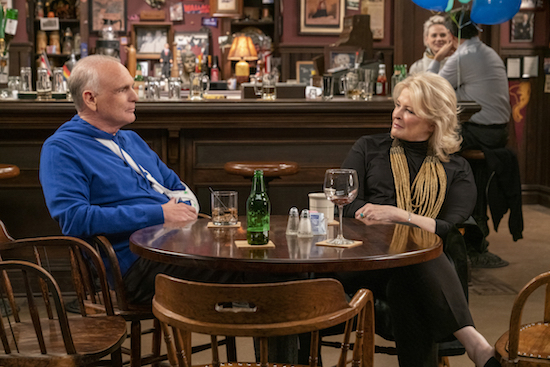 I guess my prayers were answered MURPHY BROWN WAS CANCELLED!